My focus is excellence in customer service. 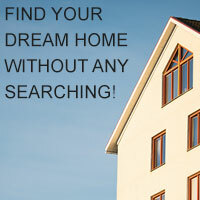 Helping buyers and sellers locate the finest Idaho properties and negotiate the best prices for my clients. As your Buyer's Representative, I promise to look after your best interests, and will do so at no cost to you. I can make the process of house hunting much easier and more efficient than if you did it all yourself. I can help you get financing, guide you to local neighborhoods and save you valuable time by finding the properties that best suit your requirements. Selling a house on your own can be an overwhelming task. First, I'll perform a comparable market analysis to determine the most appropriate price for your home.When it comes to negotiating a purchase offer, I'll make sure that you get the best price the market will allow. I”ll help you understand the details of the closing process, in addition to handling all the paperwork for you. I'm here to represent you throughout the entire selling process, and to make sure your real estate transaction is a positive and profitable experience. I have been a licensed Realtor since 2005 and have over 13 years of experience in real estate. I am very people oriented, and connect easily with my clients. I strive to listen to what my clients desires are in order to develop a clear vision of their dream home.